Bollente Companies, Inc. (BOLC) Offers Millennials Tankless Water Heaters they can Control from their Smartphones – trutankless, Inc.
Two recent surveys show why the electric tankless water heaters offered by Bollente Companies, Inc. (OTC: BOLC) are ideally suited to an age where the smartphone seems indispensable. The company’s trutankless® water heaters can be managed from anywhere in the world, using a computer or web-enabled device such as a smartphone, a feature that is likely to appeal to tech savvy Millennials and Post-Millennials. According to Nielsen (http://nnw.fm/vjSK3), 97% of Millennials aged 25-35 and 98% of those aged 18-24 own a smartphone. Moreover, a Bank of America survey, reviewed by Market Watch (http://nnw.fm/RwA19), revealed that 39 percent of ‘Millennials engage with their smartphones more than they do (with) actual humans’. In light of these insights, Bollente’s tankless water heaters will give modern generations greater control over their home environments, the first phase of a growing trend toward smart homes. Bollente manufactures and sells a high quality, whole-house, electric tankless water heater that is more energy efficient than conventional products. Launched domestically in early 2014, the company’s line of trutankless water heaters made their international debut in the second half of 2015. Bollente has partnered with international manufacturing firms to increase production and efficiently handle distribution to customers in the United Kingdom and throughout Europe, Asia, Dubai, Australia and New Zealand. The company’s principal supplier is Sinbon Electronics, a contract manufacturer and engineering company based in Taiwan with manufacturing facilities in China. trutankless water heaters are engineered to outperform and outlast previous generations of both with-tank and tankless water heaters in terms of energy efficiency, output and durability. The trutankless system provides endless hot water on demand for a whole household and integrates with home automation systems. It has several features and design innovations that are new to the electric tankless water heater market, which Bollente believes will give the product a sustainable competitive advantage over its rivals in the market; not least of these is the ability to exercise control when away from home. The trutankless smart water heater system can be managed by logging in to a customizable online control panel. From the dashboard, residential and commercial users can obtain real-time status reports, adjust unit temperature settings, view up to three years of water usage data and change notification settings from anywhere in the world, using a computer or web-enabled smart device. Additionally, service professionals can use the dashboard to monitor system status on every unit they install, allowing them to proactively contact their customers if a service or warranty appointment is needed. 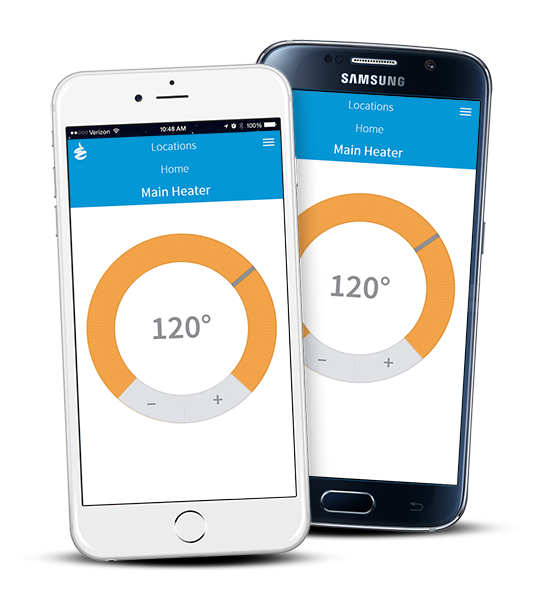 The smartphone apps, which allow monitoring and control of the tankless systems, are available for download from the Google Play and Apple iOS stores. Currently, trutankless products are available through wholesale plumbing distributors, including Ferguson, Hajoca, Hughes Supply, WinSupply, Morrison Supply and several regional distributors. Bollente’s primary markets, in Florida, Texas, Arizona and the rest of the Sunbelt region, are centers of growth in the U.S. construction industry, with green building at an all-time high and an unprecedented appliance replacement cycle. The company intends to take advantage of these powerful macro-economic trends. On March 21, 2017, Bollente announced an exclusive partnership with Mr. Rooter, a full-service plumbing and drain cleaning chain with 269 franchises worldwide, making it the second largest in the U.S.